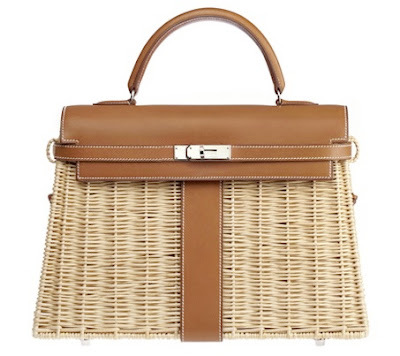 This wicker Hermes Kelly bag looks just right. I'd like to carry it while wearing a Fendi dress in white. 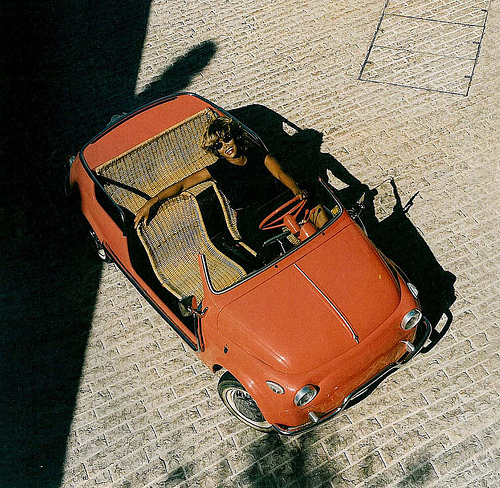 Tina Turner could drive me around in her Fiat Jolly that surely goes zoom. At the end of the day, we could hang out in this chic lattice room.